One of the more naive depictions of the hidden Leninist in the current White House claims him to be the "Leni Riefenstahl of the right wing conservatives". Only, Riefenstahl merely corrupted herself into an accessory to a humongous destruction engine. While The Invisible Eminence in the Hidden Castle configures catalysts to vaporize checks and balances and ultimately: a world order with a core stability we all depend on. 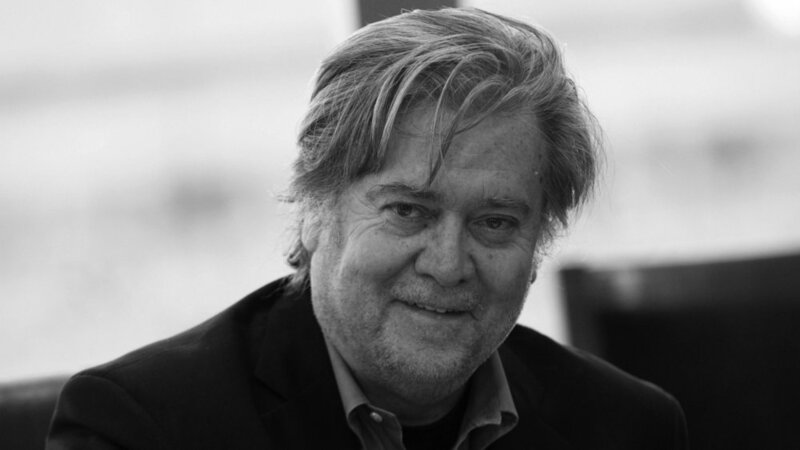 And if your are not scared enough: Bannon And The National Security Council’s Secret “Kill List”. A crucial playbook chapter of The Invisible Eminence in the Hidden Castle unfolds TONIGHT. White House blocks news organizations from press briefing. What does Steve Bannon really want? There is no such thing as irrational behavior in execution of greater power. There are visions and influential variables that lend direction, diversion or (all so purposely) deception to a projected path how the visions are accomplished. When you want to understand drastic events to inform your assumptions for future direction, it might be wise to recognize and understand key influences to those events. So, here you go: is Bannonism recognizable in recent events and more importantly: will it play out in its literal meaning and intent? If so: we can only hope that other influencers are much, much stronger and globally intertwined or we all risk to fall victim to the most violent of visions.